Materials: Soft natural rubber upper and lower sole with an EVA center and a comfortable PVC strap. 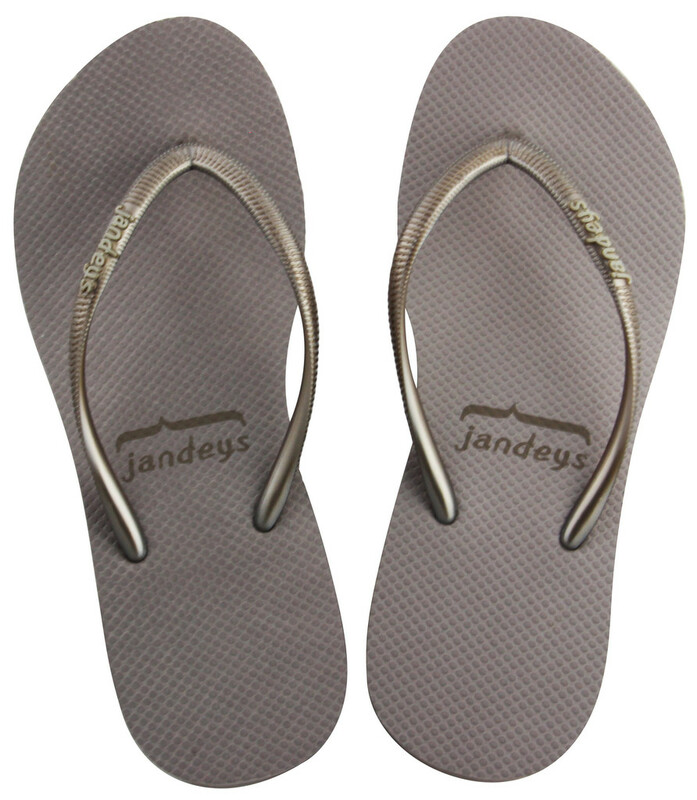 Description: Whether you're off to the beach or cruising around town, Jandeys Wedge Sandy jandals are fit for the occasion. The slightly darker, glossy strap compliments the lighter sole giving you ultra neat looking feet.